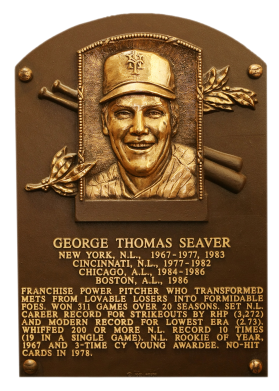 In 1992, Tom Seaver was named on a record 98.8 percent of ballots for enshrinement, indicating his stature among fans. A three-time Cy Young winner (1969, '73, and '75), he also finished second twice and third once. "Tom Terrific" led the Mets to a miracle world championship in 1969. He won 311 games and struck out 3,640 batters, and his .603 winning percentage was the best of any 300-game winner since Lefty Grove retired in 1941. 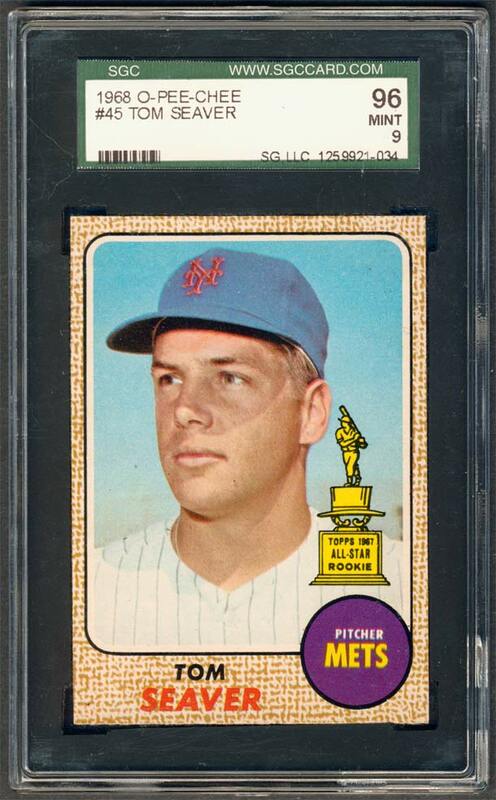 Comments: I first purchased a beautiful 1968 Topps PSA 8 card in January, 2000. It stuck until April, 2005 when I replaced it with a 1986 Topps Traded PSA 10 through eBay. I already had a Morgan in the 1968 Topps set. 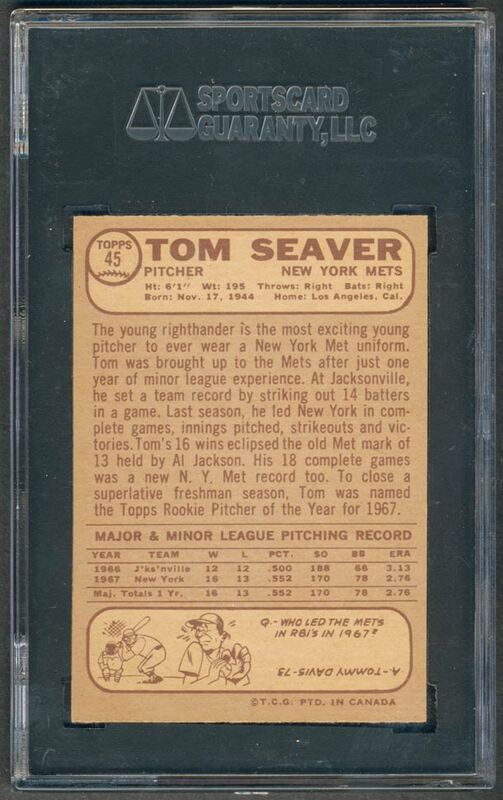 But, over the years the '86 card bothered me as I just didn't like seeing Seaver in a Red Sox uniform. I wanted him pictured as a Met. This didn't really bother me with other players but it bugged me with this player for some reason. 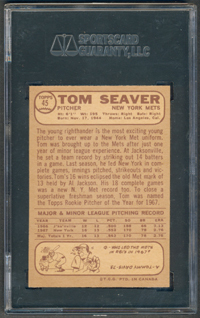 I also really liked the 1968 Topps card. I remember at some point owning an ugly copy of it before I ever started collecting portraits - who knows what happened with that card? Anyway, on 6/27/2012 I solved the problem when I won this 1968 OPC SGC 96 in an eBay auction from Richard Probstein.